There are certain ballets that you know will always give you an instant shot of that feel-good factor. Coppelia, like The Nutcracker, is one of those ballets - rich with character, elegance and beautiful dance sequences that wrap you up in a smile. 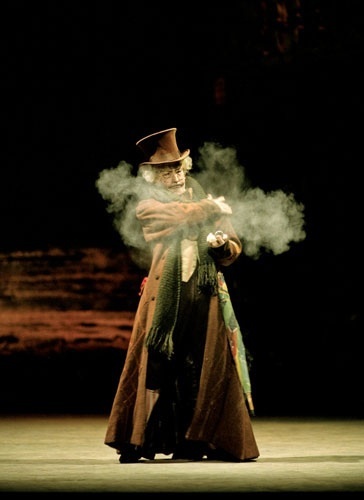 One of the historic, traditional ballets, Coppelia was first performed in Paris in 1870 but this production was given a choreography overhaul by Peter Wright for Birmingham Royal Ballet (BRB) in 1995. Over three acts, we meet the mysterious inventor Dr Coppélius who creates mechanical toys and is particularly focussed on one of his dolls - Coppélia - who he hopes to bring to life if he can work out the right magical spell. Opening in a quaint little village of wooden houses, Dr Coppélius leaves Coppelia on his workshop balcony but she is mistaken for a real woman by red-blooded Franz, who is easily distracted from his long-suffering girlfriend Swanilda. This sets off a chain of events that culminates in both Swanilda and Franz separately sneaking into Dr Coppelius' house in the middle of the night and making plenty of discoveries in his spooky toy workshop. While the first act introduces us to the lovable characters in this fairy tale, including the love soap opera of Franz and Swanilda, there's an emphasis on group routines, many with a folk flavour. The second act gives the dancer playing Swanilda a chance to shine as she pretends to be the doll Coppelia and performs some wonderfully choreographed pieces. On the first night in Birmingham, principal ballerina Momoko Hirata took on this lead role and was superb in her precision and delicate movements throughout the performance. Act Three in contrast is a grand finale of celebration with a glittering grandiose set and costumes. 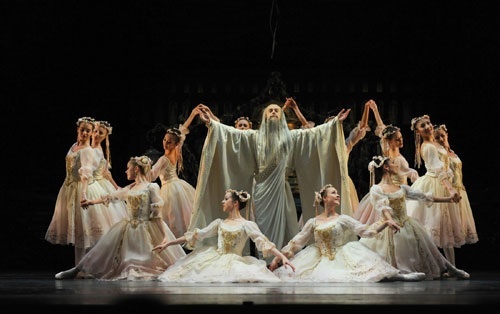 It also gives various leading dancers at BRB the spotlight through dances including Prayer and Dance of the Hours, pictured below. This is an enchanting family-friendly ballet that is easy to understand, joyous and witty from start to end. The secret of its success isn't just the dancing though, it's the depth of the characterisation of all the key parts. All the leading dancers are exceptional at bringing out each of the delightful characters. Coppelia is one of the sparkling classics in BRB's catalogue. If you haven't seen it yet, rush out and buy a ticket. The show is performed in Birmingham, Salford and Plymouth until March 28. Tickets cost from £16 - £50 and are available through the BRB website.